What makes BTS stand out from the rest of K-Pop? 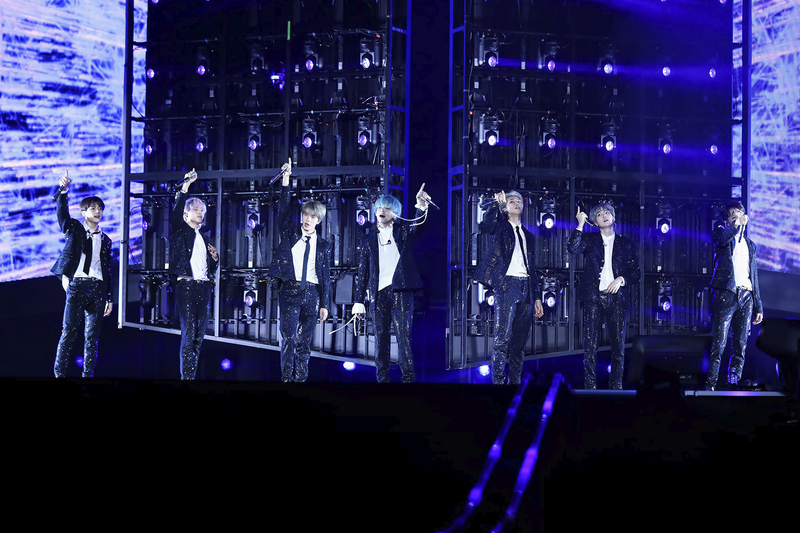 For one, the seven-member group made history (yet again) last Saturday night (19 January) with their sold out concert at the National Stadium in Singapore, as part of their Love Yourself world tour. 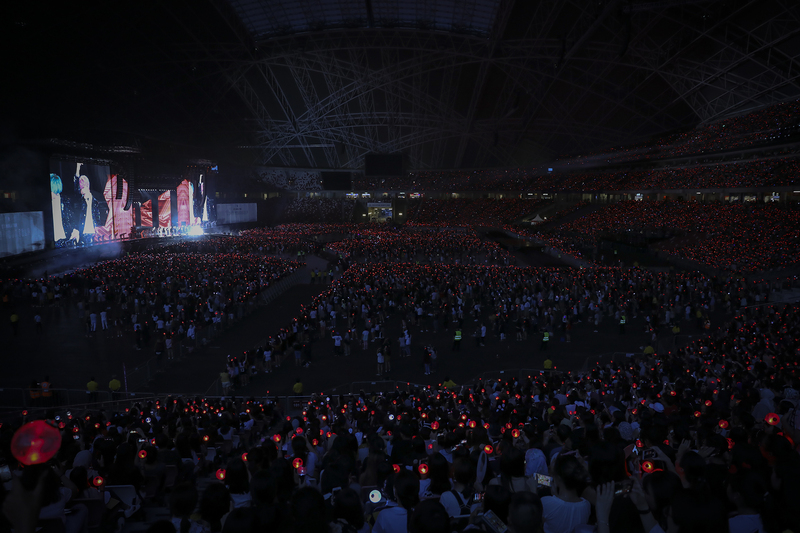 Drawing an audience of 45,000, the group became the first K-pop act to sell out the aforementioned arena — the largest in the country, thus holding one of their biggest international shows to date. It's almost hard to imagine that just half a decade ago, the group, fresh-faced as ever, held their first-ever show at the significantly smaller Star Theatre that accommodates just one-ninth of the 45,000-strong audience the group managed to rake in two days ago. In support of their most recent album, the group took fans through the many tracks off their Love Yourself: Answer album, but not forgetting to include older classics like 'I Need U', 'Run', 'Save Me', as well as a medley consisting of the group's tracks over the years, including fan favourites 'Silver Spoon', 'Dope', and more familiar tracks 'Boyz with Fun' and 'Attack on Bangtan', giving a glimpse into the group's original hip-hop sound and its then seemingly rebellious personas. Now established musicians with a wide discography, it seems the group has its limitations when it comes to music selection for its setlist, lacking some notable tracks ('Spring Day', anyone?) — of course, such is to be expected with a group of that calibre. Perhaps the above-mentioned could have been prevented, had the seven members not prepared a solo performance to each showcase their individual talents. While all the solo performances were captivating in their own way — J-Hope boasting husky vocals and polished dance moves in 'Trivia: Just Dance', Jungkook asserting his position as the "golden maknae" of the group by highlighting fancy footwork, airy vocals, and high falsettos in 'Euphoria', Jimin's great show of his prowess as a contemporary dancer through the dreamlike 'Serendipity', RM's fresh, upbeat rap performance of 'Trivia: Love' that had the audience effortlessly reciting lyrics back, V's sensual performance of 'Singularity' showcasing graceful, elaborate choreography that earned fervent screams from fans, and Suga's soulful rap in the melancholic, synth-pop track 'Trivia: Seesaw' — Jin's rendition of 'Epiphany' impressed me the most (Jimin was a close second, though). Forgoing the support of backup dancers, accompaniment of flashy stage lights, or additional stage props, the eldest member of the group simply opted for a grand piano for his emotional delivery of 'Epiphany'. In all its magnificent simplicity, the performance left me in awe and feeling a little sentimental. 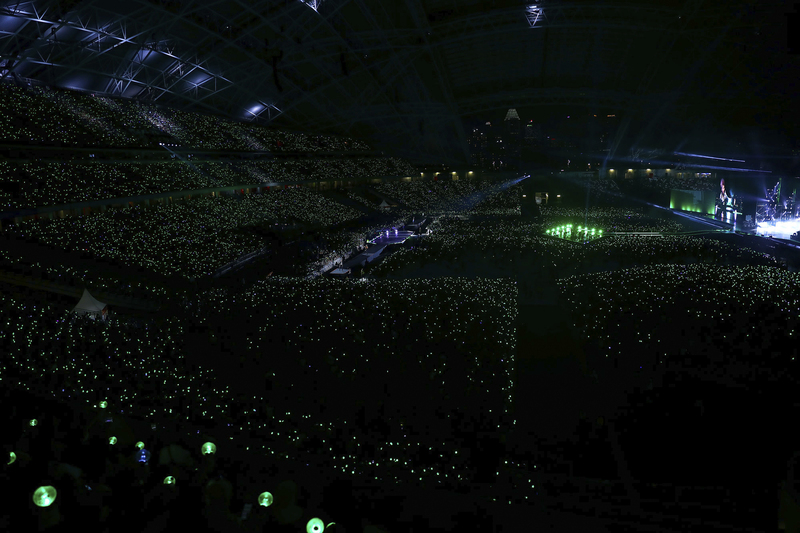 Other notable moments in the set included performances of the group's more upbeat and popular title tracks — 'IDOL', which set the mood for the show at the opening, 'DNA', 'Fake Love', and 'MIC Drop', all of which highlighted not only the group's intense choreography, but the fans' eagerness, through their synchronized fan-chants and piercing screams. 'Answer: Love Myself' as the title suggests, felt like the fitting conclusion to a glorious three-hour set. Beyond the glitz and glamour of its swift and unprecedented rise to fame and many records and accomplishments, fans got to see the group as it is within the three-hour set: Seven musicians simply seeking to make change — in this case, emphasis on self-love — by touching the lives of many people with their music. Needless to say, with the many fans they've reached, they've attained that goal. I always wondered what it was that allowed BTS to rise above and beyond rest of K-pop: Was it the dark horse trope, coming from a small entertainment agency, steadily swimming against the currents of stereotypical K-pop, and eventually rising above? Was it its carefully-themed albums, with their many underlying messages? Or much like its albums, its strikingly differing art direction from the rest of K-pop, highlighted in the many million-views music videos? Their visual appeals? Perhaps it was all of the above? What exactly was it that elevated BTS well above the rest? Witnessing them live, I could get a sense of their immense popularity and likeability — the members of BTS have stopped at nothing to get to what could be described as the height of their careers, reinventing themselves numerous times in their nearly six-year long career. Their tenacious spirit clearly remains evident in their performances – the members stopping at nothing to put on a spectacular show. Where do I find the words to explain the amazement I felt watching the group powering through a three-hour concert with near-perfect vocal and/or rap deliveries, vigorous choreography, all while managing to keep up appearances with frequent fan service through winks, kisses and wide grins? As I draft up this report, I still struggle with describing the group's impeccable showmanship and the events that transpired within the three hours — amid the bright stage lights, the synchronized ARMY Bombs that adorned the otherwise dull stadium, deafeningly loud fan chants, it was very easy for me to forget that I was attending the show as part of work — but that's the beauty of it, isn't it: When a performer (or in this case, performers) are able to captivate such that members of the audience are able to lose themselves. The concert in itself was a celebration: Of the group's stunning discography that garnered them international acclaim, and more importantly reached and touched the lives of many; of self-love, as said and sung time and time again as per the theme of the album; of the members' distinct individuality that fits cohesively as a group; and of course, a celebration of the shared love by fans for the group and vice versa. I have a newfound appreciation for the group, and look forward to next phase in its career. Special thanks to Live Nation SG, Singapore Sports Hub and ONE Production for the invite.